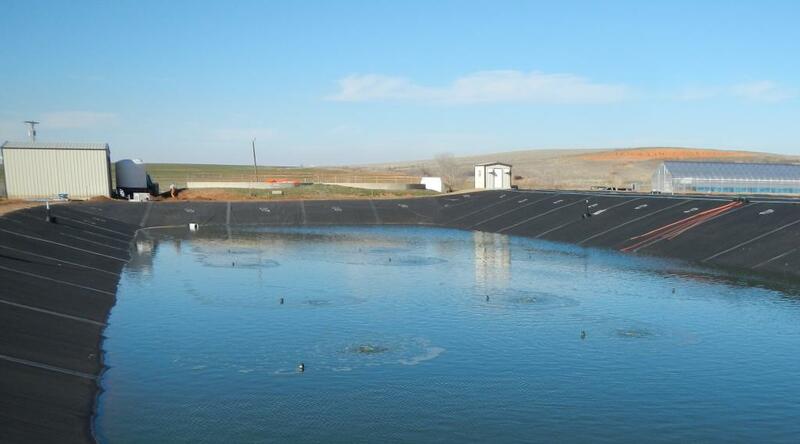 Municipal, industrial, and CAFO operations are faced with meeting increasing state and federal water discharge standards for wastewater treatment, and many are already out of compliance. Upcoming changes to NPDES regulations, particularly ammonia discharge, necessitate upgrades to current systems, many of which are operated as lagoon-type wastewater systems. Advanced technologies are available to treat the discharge from these facilities; however, in many cases, it is simply cost-prohibitive. Because of current financial conditions worldwide, funding for our wastewater infrastructure is overwhelmed. The current upgrade path is to a mechanical-type system. The upgrades represent a very large capital expense (millions of dollars), that corporations, cities and states are not prepared to fund. There is a need for a cost-effective alternative, which will meet or exceed regulations as well as present lower total cost of ownership. The BiO2 Solution™ has been proven to meet these requirements. Compared with mechanical or hybrid alternatives, The BiO2 Solution™ achieves lower cost, lower power consumption, lower sludge accumulation, and lower environmental impact--all while easily meeting NPDES discharge requirements. Four words reflect the simple elegance of The BiO2 Solution™ hybrid technology in the wastewater industry. BIOLOGICAL, FLEXIBILE, ECONOMICAL and SUSTAINABLE describe the major elements that give The BiO2 Solution™ hybrid systems the ability to consistently address the most difficult design and operational issues for smaller communities, agricultural operations and industrial waste systems. BIOLOGICAL means that the patented, single cell, microalgae reflect the elements of nature that were created millions of years ago. BIOLOGICAL because the application of these concepts creates a powerful tool to neutralize waste streams produced by today’s society. And BIOLOGICAL because utilizing The BiO2 Solution™ hybrid technology greatly improves water quality utilizing an environmentally superior process. FLEXIBLE because The BiO2Solution™ hybrid system allows for the greatest utilization of existing infrastructure. FLEXIBLE because the process can work with or eliminate rigid mechanical processes. And FLEXIBLE because the system provides the ability to work with several new technologies such as electrocoagulation as a redundant/polishing treatment process, and a diffuser based mixing system to produce higher water quality. ECONOMICAL because The BiO2 Solution™ hybrid system costs a fraction of traditional mechanical systems and breathes new life into lagoon based treatment facilities. ECONOMICAL because the energy requirements to energize the system are routinely 50% less than mechanically aerated operations. And, ECONOMICAL because operational costs including manpower and repairs are significantly less than the expenditures of both existing mechanical and lagoon systems. SUSTAINABLE because The BiO2 Solution™ hybrid technology provides a redundancy process that is unique to lagoon wastewater treatment systems. This hybrid technology is modular, which will allow a municipality to encourage population and/or industrial growth. Finally, the hybrid technology will now meet current and future EPA discharge permit limits. These four words describe the components of a system that can be adapted to solve the most complicated design problems facing today’s wastewater industry.